It's that time! 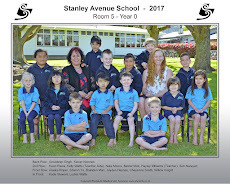 Time for students and teachers at Stanley Avenue to celebrate the end of another successful year at school. Our way of celebrating is by spending a day at the Te Rapa pools. To make things run smoothly please make sure that students are at school by 8.30am, with togs on underneath uniform. To reduce lost property , please make sure that EVERYTHING is labelled - togs,towel,uniform and underwear. Can't wait to see you all tomorrow, it will be an exciting and fun day!